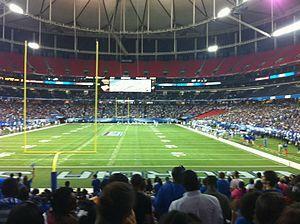 With the move to the FBS and the Sun Belt Conference, Georgia State can expect an increase in the difficulty of it’s competition. They will be playing three FBS teams this year, one of which (no spoilers) won the national championship last year. Here is a quick hit on Georgia State’s first six opponents. Samford had an above-average year, at least in terms of record. The 2012 team posted a 7-4 record while being especially dominate at home, going 4-1. This doesn’t speak of success on the road, however, as one can extrapolate the 3-3 record complied by the team. The team stats point at level of mediocrity. Samford was 77th in total offense (351.64 yds per game) and 29th in total defense (355.64 yds per game) in the FCS. The defense stat is mildly impressive; unfortunately, they still gave up four more yards than the offense gained. The offensive and defensive scoring numbers reflect the total yardage numbers. Samford was 68th in in scoring per game (24.73 pts per game) and 19th in defensive scoring (20.64 pts per game). Chattanooga had a similar year to Samford, with more dramatic statistical splits. They posted a 6-5 record overall, 3-2 record at home, and 3-3 record away. Their offense/defense splits in the FCS were 80th in total offense (349.36 yds per game) and 10th in total defense (307.91). The Mocs’ have just as big of splits in points scored and points given up, sitting at 64th in scored for (25.55 pts per game) and 18th in scored against (20.36 pts per game) respectively. West Virginia had season marked by Mt. Everest highs and Mariana Trench lows. The climbed the rankings with shocking speed after winning their first five games of the season, only to lose five of their last seven games to drop out of the rankings entirely. West Virginia finished with a 7-6 record overall, a 5-3 record home, a 1-2 record away, and a 1-1 record on neutral ground. Per the usual, the stats tell the story. A very impressive 10th in the nation in total offense (502 yds per game) and a truly horrific 108th in total defense (477.45 yds per game). Scoring wise, the team was a very, very good 9th in the nation in scoring (39.46 pts per game) and a bottom-feeding 114th in scoring against (38.08 pts per game). 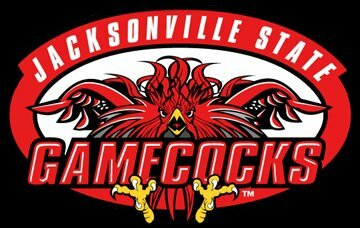 Jacksonville State finished with a 6-5 records overall, an impressive 5-0 home record, and an abysmal 1-5 record away from home. The stats point to a bit of an underachieve; in the FCS, they finished 30th in total offense (413.27 yds per game) and 19th in total defense (313.91 yds per game. However, scoring stats paint a more accurate picture. The team finished 64th in scoring (25 pts per game) and 32nd in scoring against (21.73 pts per game). The Gamecocks probably should’ve won close to eight or nine games, but couldn’t match the yardage numbers with scoring numbers. The defending, back-to-back, National Champion Alabama Crimson Tide. Alabama in 2012 was a nightmare. They blew the doors off opponents (save one), finishing with a 13-1 overall record, a 6-1 home record, 4-0 away record, and a 3-0 neutral record. The only team that beat them was Texas A&M, which just so happens is the residence of the first freshman to ever win the Heisman trophy in Johnny Manziel. Point is, Alabama did work. The Crimson Tide finished with a strong 31st in total offense (445.5 yds per game) and a dominating 1st in total defense (250.00 yds per game). Roll tiding over to scoring, the Tide finished 12th in the nation in scoring (38.71 pts per game) and a soul-crushing 1st in scoring against (10.93 pts per game). There is absolutely no reason to believe that Alabama will be any less of a bull for the teams on it’s schedule this upcoming year. The third FBS opponent: The Troy Trojans. Troy finished with a 5-7 record overall, a 2-4 record at home, and 3-3 record away. Looking at the statistics, the Trojans make little sense on the offensive side of the ball. They finished with the 11th best offense in the FCS last year (498.75 yds per game) but finished 52nd in scoring (30.58 pts per game). Defense is works out to about equal: the team was 96th in total defense (443.58 yds per game) and 82nd in scoring defense (30.50 pts per game).